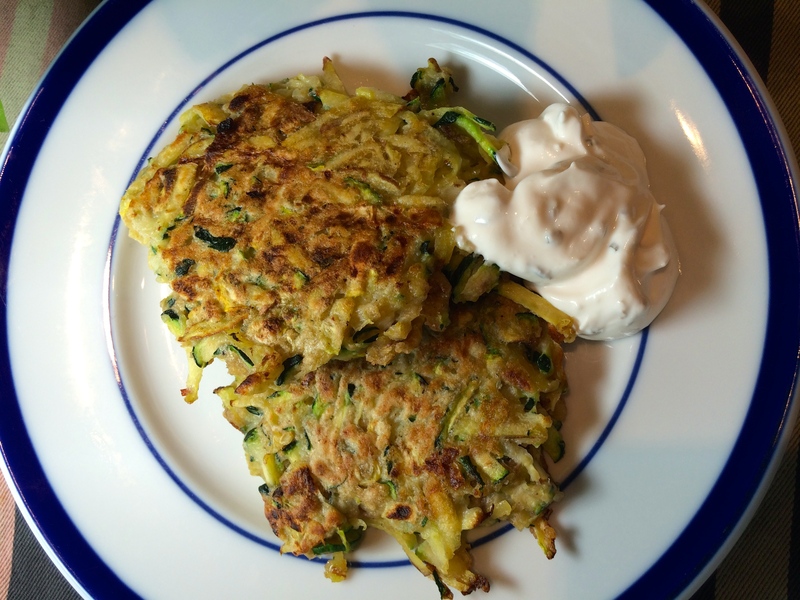 This is like the traditional potato pancake, but uses shredded zucchini instead. 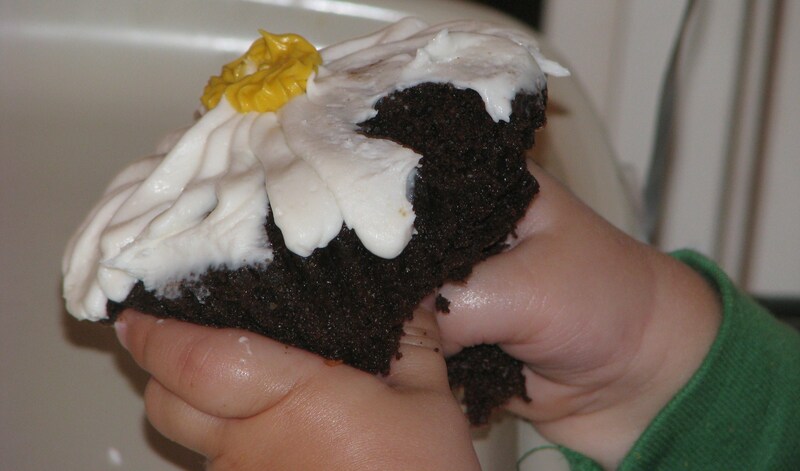 I served them with buttery egg noodles which pretty much guarantees they were a hit with the kids. A cool variation is that adding 2-3 teaspoons of Old Bay seasoning to the mixture makes these zucchini cakes taste amazingly like crab cakes. In that case, switch out the sauce for tartar! In a small bowl, prepare the sauce by combining the four ingredients; chill. Prepare latkes by shredding the zucchini in a food processor with grater attachment – or by using a box grater. Toss the zucchini in salt and let stand for 5 minutes. Press the zucchini in a strainer to remove as much liquid as possible; discard liquid. Meanwhile, in a separate bowl lightly beat an egg. Add flour, pepper and zucchini stirring until well combined. Fold in the fried onions. In large non-stick skillet, heat oil over medium heat. Drop 1/4 cup of zucchini mixture into skillet and flatten with the bottom of a measuring cup – or press into 3 1/2″ patties. Cook 5 to 7 minutes or until browned – turning once halfway through.